The Transportation module allows your school to manage the school bus network, by identifying bus lines, bus stops and associated time. You will be able then to manage school bus subscription for your students and assign them relevant bus lines. The Transportation module repository lets you define all lines, stops and times availables. 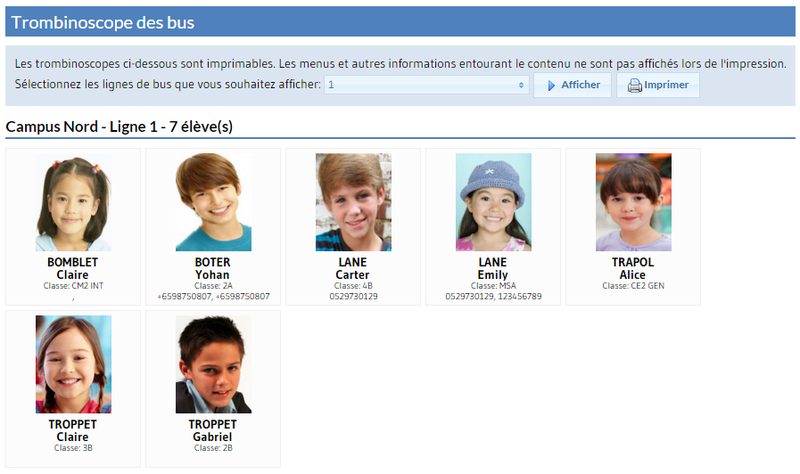 After assigning bus lines to students, a view by line, including students pictures, facilitates your daily management of school bus. A maps feature gives you a quick view of all bus stops. Available soon – Thanks to the maps integrated to the module, get a quick of students address, and optimize your school bus itineraries.